“Jackie” was the son of a career Royal Navy Sailor from Portsmouth (who died between the wars and left four daughters and a son). Jackie went to the Royal Navy School Hawke House Ipswich at the age of 11. At age 16, he survived Dunedin’s sinking, but died on the rafts. He was last seen on a raft by his best friend Ed Longmuir, with broken limbs. 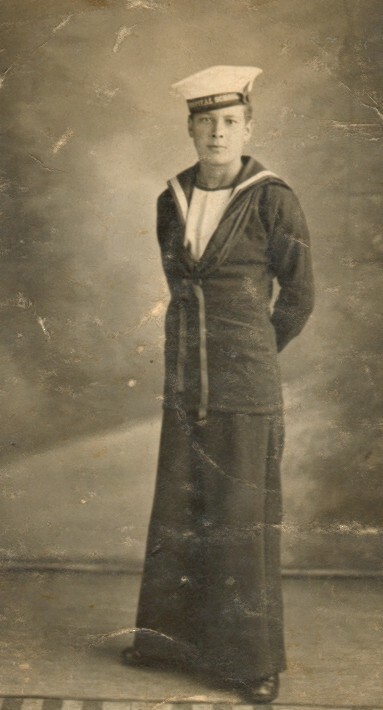 Ed survived and came to see Jackie’s mother in Portsmouth and gave his account of the sinking. She gave him a signet ring she had originally intended to give to Jackie on his return.